Blockchain technology vendor R3 has laid out a new strategy where it will focus on exploring joint ventures and potential acquisitions, as well as scouting out seed-stage investments. R3, which is backed by a group of institutions including investment banks, recently created a dedicated ‘corporate development’ function, which has been tasked with supporting early-stage companies building on its flagship Corda platform, as well as exploring joint venture opportunities. “The board has approved R3’s strategy creating a robust internal corporate development function that will deploy capital to support and accelerate ventures. We are presented each and every day with the chance to help companies at various stages of growth, and now is the time to take advantage of those opportunities,” said R3 board chairperson, Fred Dalibard. R3 also stated it had considering launching an outside fund with R3 capital and supplemented with third-party investment, but instead decided to go alone. The launch of the new function meant that Jesse Edwards, one of R3’s co-founders who spearheaded its initial fund-raising scheme, has left the consortium. He plans to set up his own independent investment shop. “Jesse Edwards is an amazing friend and colleague, and we continue to invest alongside each other in multiple business ventures. We are forever grateful for the contribution he made to launching R3. People come and go in your professional life, but I am proud and honoured to have worked with Jesse at R3, and look forward to continuing our work together in other ventures,” added David Rutter, CEO of R3. Earlier this month, R3’s blockchain platform Corda Enterprise was chosen by SIX to provide the underlying technology to support the launch of its digital asset listing, trading, settlement and custody service, SIX Digital Exchange (SDX). It has also provided the technology for HQLAx, a new blockchain securities lending platform backed by Clearstream, that allows collateral to become tokenised and held by a custodian without physically moving. 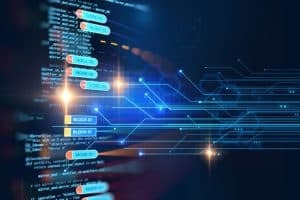 The post Blockchain specialist R3 deploys new strategy focusing on expansion appeared first on The TRADE.